I spent the day outside, putting off my to-do list and focusing on spending time with my son who, unbelievably, is only a few weeks away from celebrating his first birthday. Time has literally FLOWN. Everyone (including strangers on the street as soon your bump begins to show) tells you how fast time goes after having a baby. I can’t count the number of times I was told by one granny or another to enjoy every minute because they grow up quick. They don’t stay babies forever, they say, it flies by in a second and you’ll never get that time back. I always thought they were exaggerating. Really? Spending all day, every day at home with a helpless tiny human being who has constant needs and wants? How much longer of a day (and night) could you have? How would that do anything but make the hours drag on for what feels like forever? And it’s true, there have been days when the hours stretched out endlessly – when, by the end of the day, I’d be frazzledly, constantly watching the clock, listening for the key in the lock that would mean Daddy would be home and could finally take over baby duty. In one way it has felt like forever, that Caleb’s always been in our lives and life before parenthood is only a distant foggy memory. But in another, very real way, those grannies were all too right. It feels like we’ve blinked – and like magic, that tiny, naked, wriggly, fragile and vulnerable little human that I held against me that spring evening nearly a year ago has suddenly transformed into this mini person with his own sense of humour, his own favourite toys, foods and games he’s invented – a little boy full of character with a big laugh and an even bigger personality. Our son has broken out of every single box that doctors, society or even we as his parents, however unintentionally, have put on him. 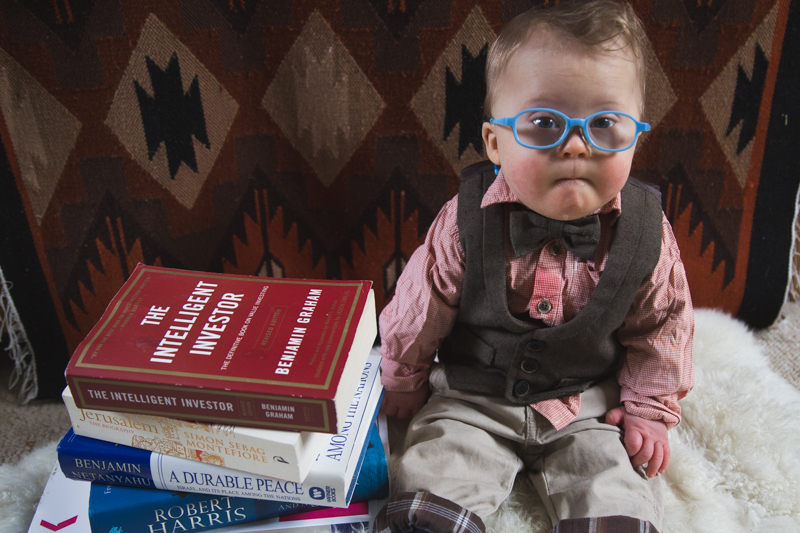 You can read more about how he’s defied medical and developmental expectations here. Yet beyond that, he’s broken out of every box put on him limiting his personality, intelligence and character – of what society told us we should expect of someone different like him. 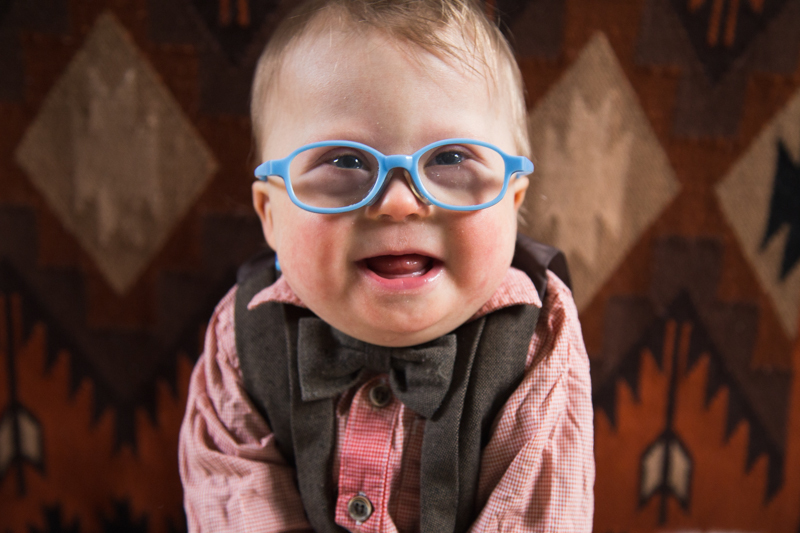 When Caleb was diagnosed with Down Syndrome at 3 days old, we were blindsided. Despite knowing that a genetic condition could be a possibility after the 20 week scan where they found excess fluid on his brain and a possible problem with his heart. Despite the niggling thought that came slicing through the haze of joy and elation and unadulterated love when he was first laid on my chest to do skin-to-skin – the thought when I first saw his upturned face that something, somehow didn’t seem quite right. 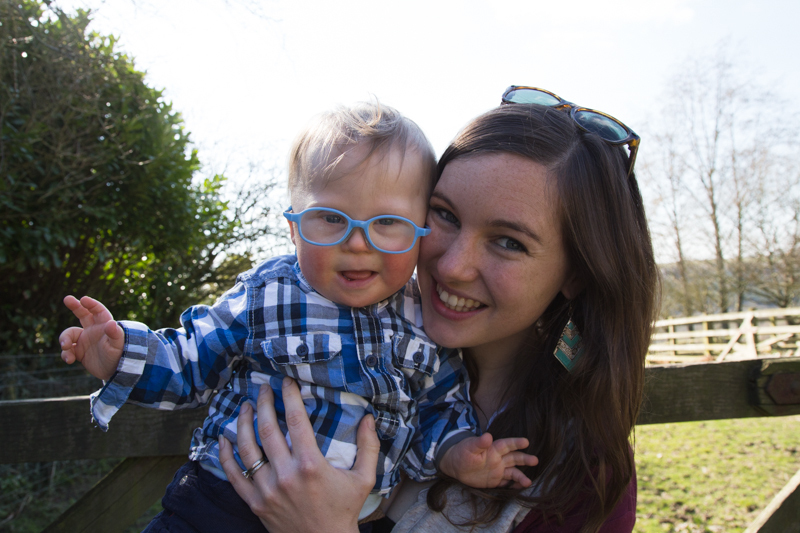 Despite the midwife telling us an hour after the birth the words that I had been subconsciously dreading – that she thought that he could have some features consistent with Down Syndrome. I still remember the feeling of chilling numbness, starting in the pit of my stomach and spreading its ice-cold fingers across my body, even as she confirmed my fears. Yet even then, she said she wasn’t sure at all, as he didn’t have many of the symptoms usually found in babies with Down Syndrome – so we decided to try to push it from our minds until the tests came back. We were determined not to let anything steal the joy of this beautiful little person we had created together, and those first few days were filled with wonder at the beauty God had created through us. Our hearts broke as we had to watch Caleb go through one test after another and then, after a few days, go into the intensive care unit under the lights for jaundice. 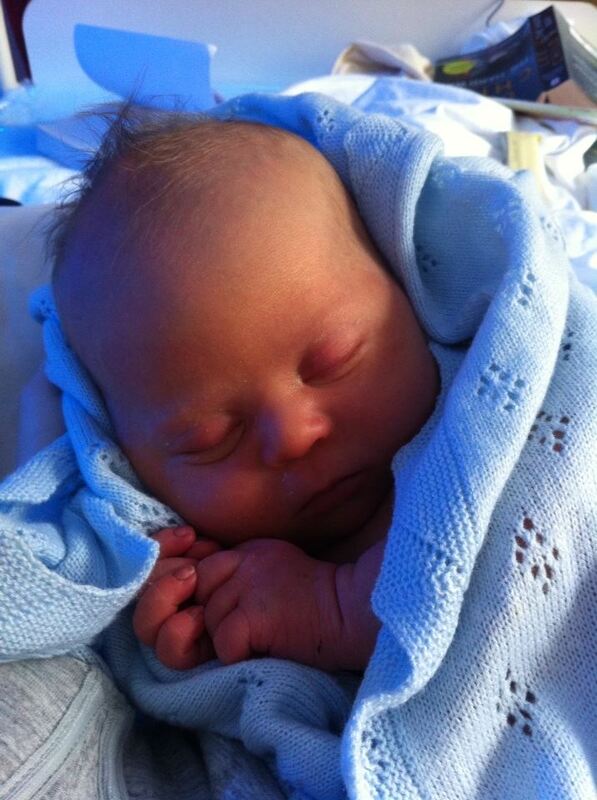 Just before he had to go in to NICU, the doctors came in to tell us the tests had come back for Down Syndrome. They were positive. I still remember the icy numbness, the inability to think or process what this meant – we were so sure he had been cleared of everything they had found in the scan that we were convinced the tests would come back negative. 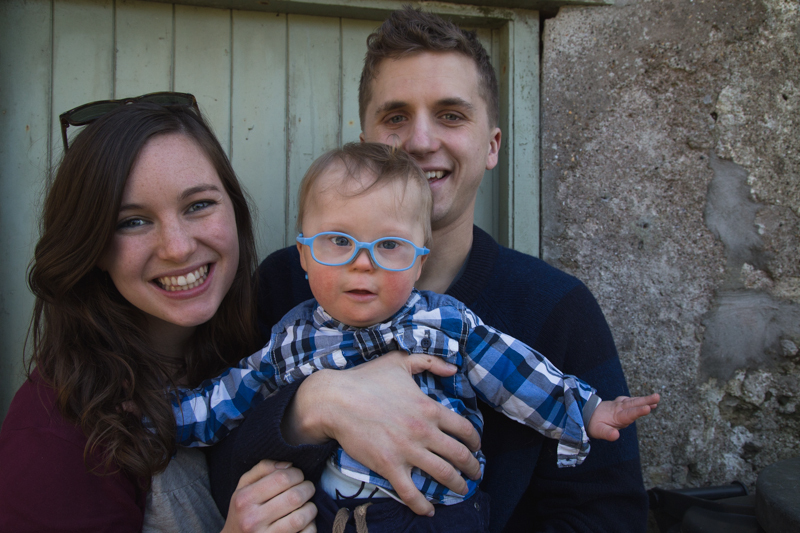 We thought there’s no way that this could happen to us; with our first child when we were both 25 years old, what were the odds that our baby would be the 1 in every 1000 babies born in the UK with Down Syndrome? Despite everything, until that moment, we had still doggedly refused to believe it could be true. We were well and truly blindsided. Then, suddenly, the dam broke. All the fears and doubts and misconceptions began relentlessly flooding in and I broke down into a heap as deep sobs began wracking my body. As I sagged into Will’s arms, we wept together as the reality of the news began to sink in through our walls of disbelief. Looking back now at the weeping, devastated pile on the hospital floor we had become, I wish we knew then what we know now. That instead of the near-death sentence we felt we had just been served, that this beautiful baby would bring us more life and joy than anything else we had ever experienced. That instead of being imprisoned by parenting a child with special needs, it would be the most liberating time of our lives – freeing us from the shackles of stigmas and stereotypes that society puts on anyone slightly different to the norm. And that instead of our dim misperception of imagining raising a child that would have limited intelligence, character and personality and that would be so different to the one we had dreamed of for 9 months, our child would be razor sharp (too clever for his own good sometimes), be full of life and joy and would have his own very unique, cheeky personality that would know every trick in the book of getting attention and laughs from everyone he meets. There were times at the beginning that I wondered if we should have done the screenings during the pregnancy, if only to prepare and steel ourselves for what was ahead. The first few months after finding out I believe are best described by my friend Nicole who writes the ‘The Baby Blogs’ , who has been through it herself. She aptly calls the time of initial shock ‘the dark cloud period’ – where everything is filtered through this hazy lens of grief and disbelief. During this time of processing and coming to terms with the shock twist that life had just handed us, I wondered many times if it would have been better to get through this ‘dark cloud period’ before Caleb had been born so that I could have spent every minute just focused on him. But now I am so glad we waited. He was the one who made it so much easier to take in. Every time we would look at our perfect baby, hear his cooing newborn noises and laugh at his thousands of sleepy newborn expressions, we would forget for a little while and just be family. Whenever we were with him, his diagnosis faded into the distance and we’d be swept up into a deep gratitude for being given this perfect angel baby. Although we were going through a (what I believe is very natural and necessary) grieving period to mourn the child we had imagined having for so long, him being physically with us as his uber cute baby self somehow made it that much easier. We were head over heels in love with him from the first and that carried us through until the dark clouds finally, gradually lifted. Don’t get me wrong – even though we felt after a time that the clouds did lift, they can suddenly sweep back into our lives with a vengeance for a time. There are days when it all feels too real again and the fears and doubts start whispering (or thundering) their way in again. It is an intentional, daily decision to stay rooted in today, to not think about tomorrow and to trust that there is a plan in all of this. But those are the bad days. Most of the time, now I can honestly say that my life with having a child with Down Syndrome is better than I ever imagined it could be before we had him. Living with this little firecracker makes life so much more fun. I laugh more now than I ever have. Caleb’s favourite thing to do is make people laugh. His favourite game for the last few months has been what we have come to call Pokerface: suddenly pulling a frown face (think upside-down smile) and not breaking it until the person facing him (many times random strangers on the street who say hello and try to make him laugh) does a frown back, facing off until someone breaks. If you manage to do a face that makes him break his pokerface first and smile, he’ll usually go straight back into his pokerface and keep playing until he wins. But he usually wins with a face that’s too cute not to laugh at. Every time he does win he then cracks up as if he knows he’s the funniest kid ever. Which – I know I’m biased – but I think he probably is. He’s smart: he’s figured out the one noise that is guaranteed immediate attention is gasping as if he’s choking, sometimes even finished off with a few fake coughs. Then as soon as he gets the reaction he’s looking for, he cracks up. He now does this ALL THE TIME. Constantly. In the shops. While he’s getting changed. In between every bite of food, making me panic thinking he’s going to inhale the food into his windpipe – which he seems to find even funnier. We also found out a couple weeks ago that he needs glasses as he’s long-sighted – I didn’t even know they did glasses for babies that small, but he rocks them. He figured out how to take them off, pull them apart and take apart the curly ear pieces within the first few hours. It’s now his favourite toy, and every time we look away he’s at it again. See what I mean about too clever for his own good? This boy. His favourite things in the world are people, music and dancing. As long as he’s getting attention and cuddles, he’s happy. He already hates missing out on anything – if there are people over, he wants to be right in the middle of where the party’s happening. He loves music – if he’s ever fussy or whingey, we just put some baby music on and he’s loving life again. If there are actions or bouncing along to it, all the better. His favourite thing ever, though, has got to be dancing. Sometimes the only way to stop him fussing in his high chair is to break out into a little dance in the kitchen. He LOVES it. His favourite thing to do (and mine too at the moment) is having a family dance party in our living room – when Will gets home from work we put on some old Paul Simon or Doris Day vinyls on the record player and the three of us dance away. He can’t get enough of it. Neither can we. 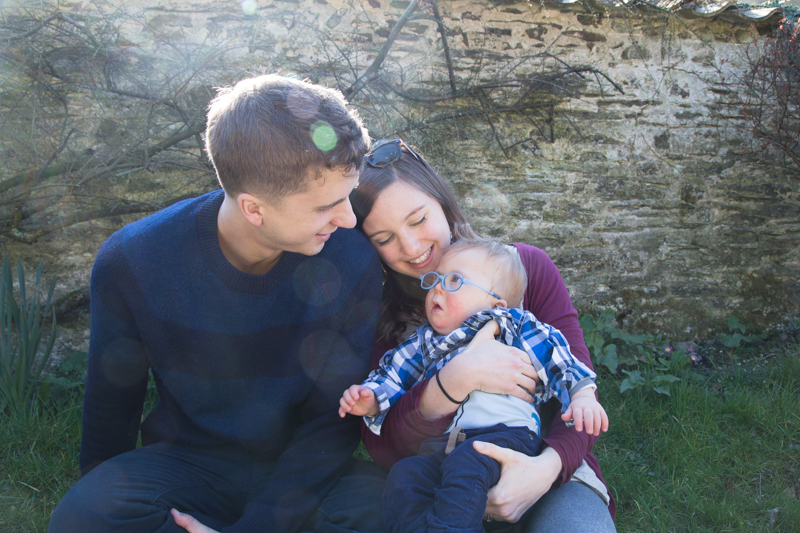 This boy, extra chromosome and all, is our absolute dream baby. He is nothing like we were expecting our child to be before we found out about his diagnosis. Yet he is nothing like we were expecting him to be after finding out about his diagnosis. 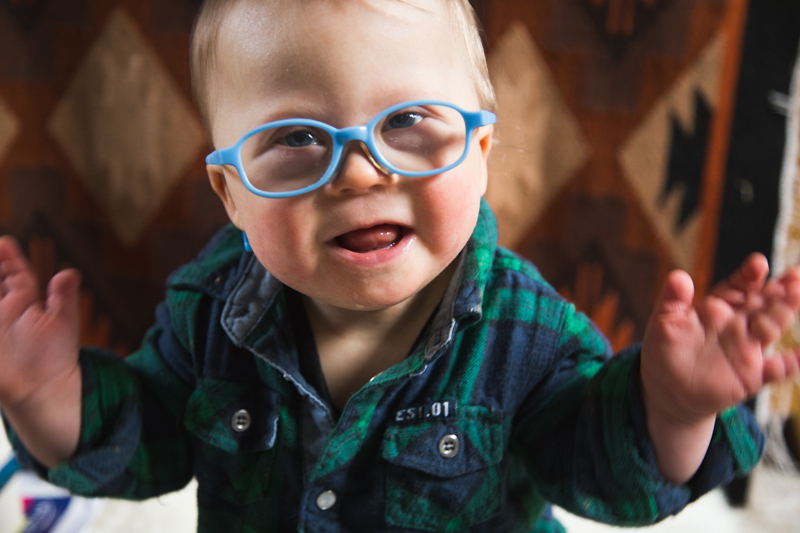 He has broken every single stereotype, stigma and misconception we didn’t even realise we had about people with Down Syndrome before having him. He is 100% perfect in our eyes and we couldn’t be prouder of him. Today is World Down Syndrome Day. It’s a day for celebrating those rocking the extra chromosome (as the amazing blogger Heather from The Lucky Few puts it). Those who bring a beautiful diversity to a world obsessed with fitting into an impossible image of perfection. Those who are unafraid to be who they are, so different to the mould that the world tells us we have to try to fit into at all costs. And today we have celebrated our son. This boy has broken out of the ‘Downs’ box again and again and has made us appreciate those beautifully different to us in an entirely new and real way. 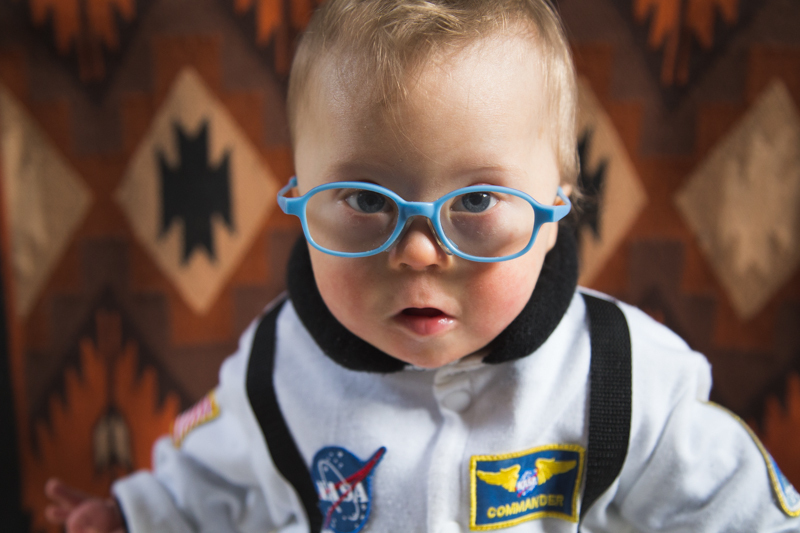 Thank you, Caleb, for opening our eyes to see the value of what those with an extra chromosome bring to our world. We are different people to who we were before we had you. And we are better people for it. Beautiful Esther! Keep on focusing more on the now and not looking too far ahead…enjoying all those fun and precious times and celebrating all those positives and progressions! Thanks for sharing! Love it! 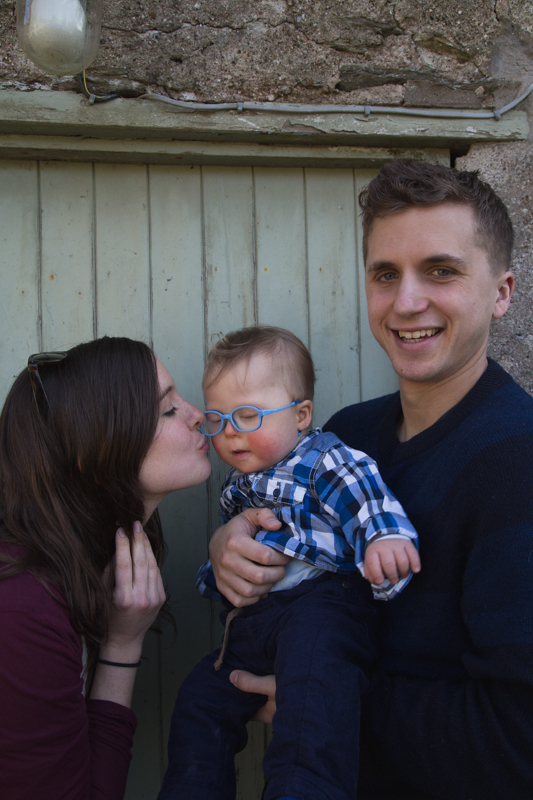 My son Iziah is 18months old and has Down syndrome and I could really Identify with a lot of what you have written, we too have family dance parties! 🙂 you write so well, thanks for reminding me and putting it so beautifully into words.